Turkey is a country full of contrasts: imposing mountain ranges and fertile plains, lively bathing houses and deserted picturesque beaches, rapidly growing cities and sleepy villages. It is full of multicultural history. It recalls siege and defeat that have left traces everywhere. With an array of historical places and archaeological excavation sites, each one deserves its place in the UNESCO World Heritage list: from Classical cities like Pergamon and Ephesus in the Turkish Aegean to fairytale-like Cappadocia in Anatolia, from stone churches to Roman aqueducts, from Byzantine churches to Ottoman mosques and palaces. 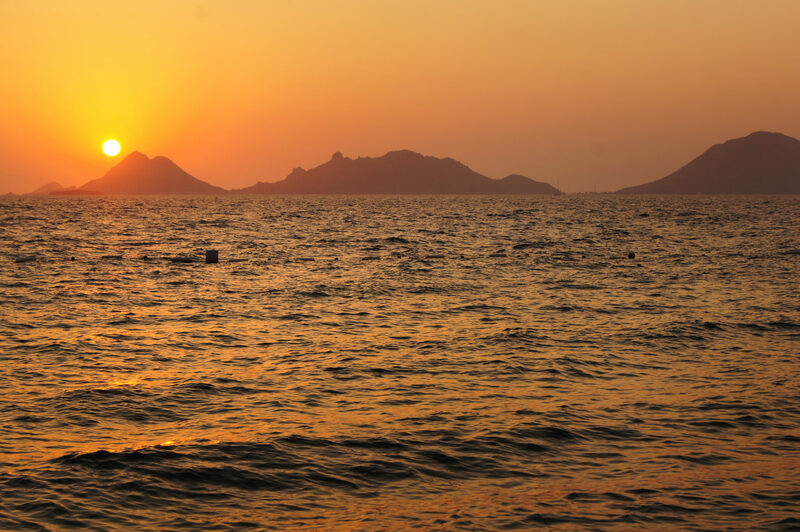 Turkey is a popular holiday destination for young and old, beach lovers and wanderers, foodies and history buffs. And it is home to 80 million inhabitants, proud of their country full of culture, customs and religion; of a tradition of hospitality, of Mustafa Kemal Atatürk, “Father of the Turks” and founder of modern Turkey. A dynamic country that welcomes cultural, economic and political changes and loves to debate these issues. Not forgetting the fusion of past and future. 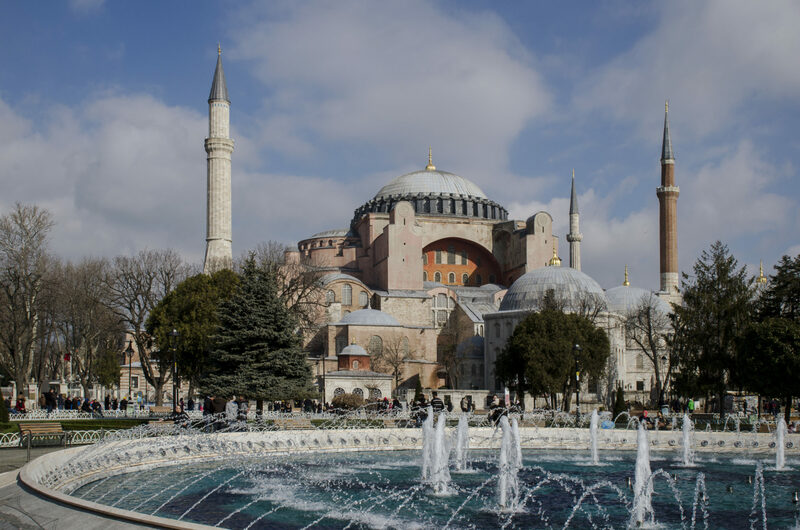 Flights from Europe to Turkey: Turkey’s national airline is Turkish Airlines (TK), which flies from Frankfurt, Friedrichshafen, Düsseldorf, Graz, Salzburg and Zürich to Atatürk International Airport (IST), serving Istanbul and Antalya. Flights operate from Frankfurt, Berlin, Hanover, Cologne and Stuttgart to Sabiha Gökçen International Airport (SAW). Various other airlines offer routes to Ankara, Istanbul, Izmir, Bodrum, Antalya and Dalaman, including Lufthansa, Austrian Airlines, Swiss International and Air Berlin. Flights from the US to Turkey: Direct flights to Turkey from Chicago and New York are offered by Turkish Airlines and American Airlines. The Balkan Express departs daily from Munich, stopping in Vienna and Sofia, reaching Istanbul in around 40 hours. This is definitely one of the top things to do in Turkey. There are also train connections from Cologne and Zurich. Motorail trains run between various German cities and Villach, Austria. From there, there is a connection to Edirne, Turkey. The quickest route from Germany is through the former Yugoslavia (roughly 1,800km). It is also possible to take a longer route through Austria, Hungary, Romania and Bulgaria, coming to 2,100km. By taking a ferry from Venice or Brindisi, Italy, the journey can be shortened. 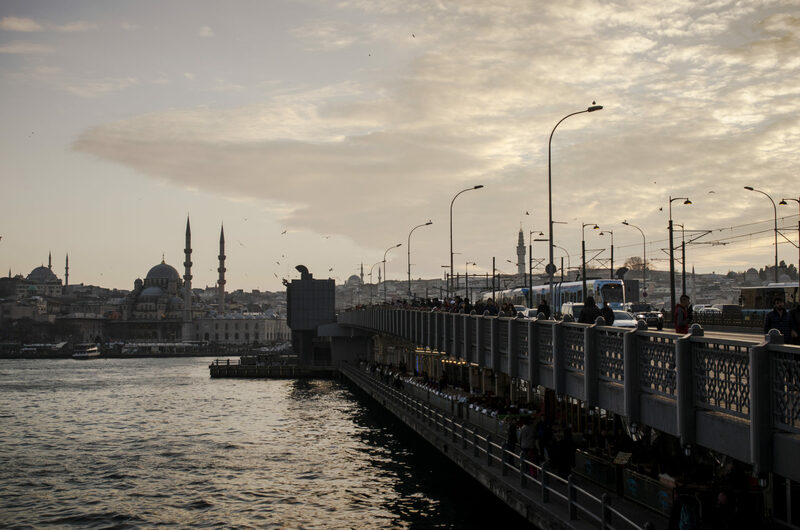 Eurolines offers bus connections from Germany and Austria to Istanbul. British nationals need a visa to enter Turkey. You can get an e-Visa for $20 online before you travel through the official Republic of Turkey e-Visa website. You can pay using a credit or debit card. You can apply up to 3 months in advance of your travel date. Turkish visit visas issued on arrival are valid for multiple stays up to a maximum of 90 days in a 180 day period. If you own a ‘British Citizen’ passport and arrive at sea ports for tourist visits to the port city or nearby cities for a maximum of 72 hours, no visa is required. US-American residents need a visa to travel to Turkey. If you are traveling for tourism or commerce for up to 90 days within a 180 day period, obtain a Turkish visa from Turkish missions abroad or from the e-Visa application system prior to arrival. U.S. citizens traveling on cruise ships can enter without a visa and the port of entry security authorities’ permission for a maximum of 72 hours. Turkish has been the official language of Turkey since 1923, spoken by 80 million people, 5 million of whom have it as a second language. The standard form is based on the Istanbul dialect. 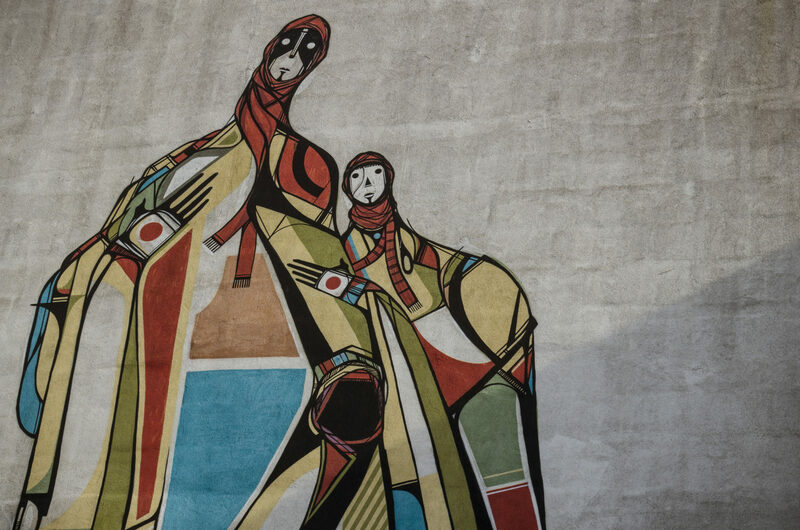 There are also minority languages around Turkey, such as Kurdish (in the Eastern part and in bordering Iran and northern Iraq), Arabic (around the border with Syria), Armenian, Assyrian, Laz and Zaza. When should on travel to Turkey? Climate in Turkey varies from region to region. Especially in the beach resorts of the south, the best time to travel is between June and September. Those wishing to avoid the holiday rush and the oppressive heat may prefer to travel in spring and autumn. May and June as well as September and October are recommended as then, the list of things to do in Turkey is sheer endless. While the areas on the Aegean, Mediterranean and Marmara coasts have a typical local climate of hot summers and mild winters, the Black Sea coast of the north is rather cool with low precipitation. 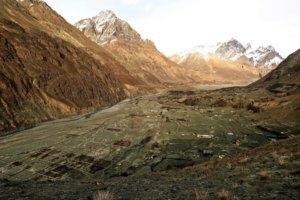 The Anatolian highlands have very hot and dry summers, but also cold and snowy winters. The best time to go to Istanbul is May to October. The currency in Turkey is Turkish lira. Euro is also often accepted. Drawing out money is in most cases no problem. There are many bureaux de change in Turkey where money can be exchanged, especially in large cities and tourist spots. There is a better exchange rate on the ground. EC cards with a Maestro symbol can be used in shops and ATMs, though they may be subject to high fees. Paying by credit card presents few problems, but due to fees it is worth drawing money out at an ATM and paying in cash. Haggling is the norm. All larger cities have a good selection of hotels, from simply budget accomodation to luxury hotels. These, plus motels and campsites, are even more common in the popular destinations on the southern and western coasts. In more remote areas accommodation is often very simple and does not always match Western standards. Since summer 2015, the number of attacks in Turkey has increased. Despite tight security measures, the risk of a terror attack exists everywhere in the country. In the southeast and east, as well as Ankara and Istanbul, there have been numerous fatalities and wounded, including security forces, bus passengers, demonstrators and tourists. On top of this, there is political unrest. On the evening of 15th July 2016, there was an attempted coup in Istanbul and Ankara, in which many were killed and injured. There were encounters between rebels and government police and army units. On 20th July, Turkish president Recep Tayyip Erdoğan declared a state of emergency. There is now increased vigilance in large crowds like public transport, markets, shopping streets and malls. Large events and demonstrations are to be avoided. It is also advised to carry a passport or identity card in case of checks. The latest security advice is available at the foreign office. There are good bus networks, mostly modern and punctual. Tickets can be bought at a kiosk and thrown into a box when boarding the bus. Long-distance buses are a good option for travelling around Turkey cheaply. Various private companies offer connections between almost all cities, departing mostly from bus stations (otogar) or marketplaces in smaller towns. Tickets are available often directly from bus stations. 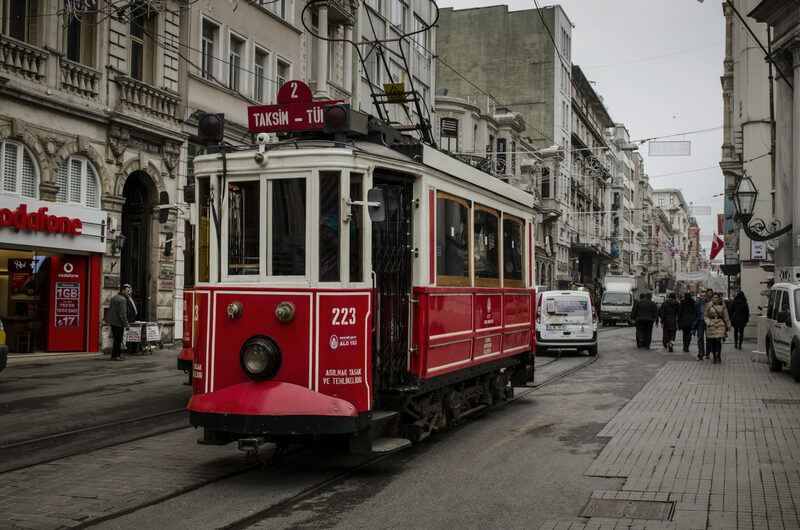 In bigger cities there is often an extensive metro and tram network, as in Istanbul, Ankara and Izmir. Train connections go between large cities – for example, the high-speed route between Istanbul and Ankara – several times a day. There are also major lines from north to south and east to west. Taxis, shared taxis and minibuses are very popular in Turkey. Yellow taxis in Istanbul and Ankara have a meter. The price should be ideally negotiated beforehand. Dolmuş are shared taxis that go between selected towns and districts, distinguished by a yellow and black checkered band. They can simply be hailed from the street. Price depends on distance and is fixed by local authorities. Do not accept surcharges for journeys in darkness or rain. Driving a car in Turkey isn’t a no-go. Most areas have a well-structured road network. Motorways are easy to use. Thanks to an electronic toll system, stopping at a booth is not necessary. The High-Speed Toll slip is available in post offices (PTT) and service stations along the motorway. 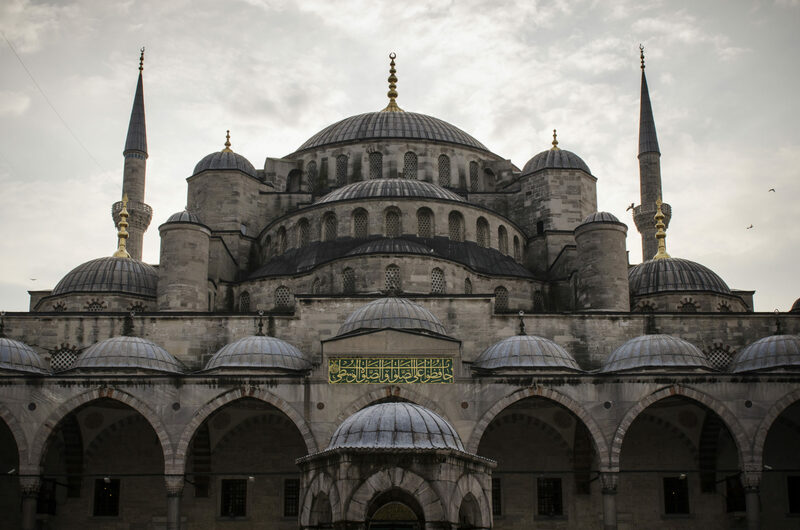 Around 99% of the Turkish population is Muslim, mostly Hanafi, a school of Sunni Islam. Jews and Christians are a minority. Turkey has a good healthcare system, even if only accessible in cities. Medical care in the countryside often does not match Western standards. It is advised to take a personal first aid kit and proof of a travel insurance policy. 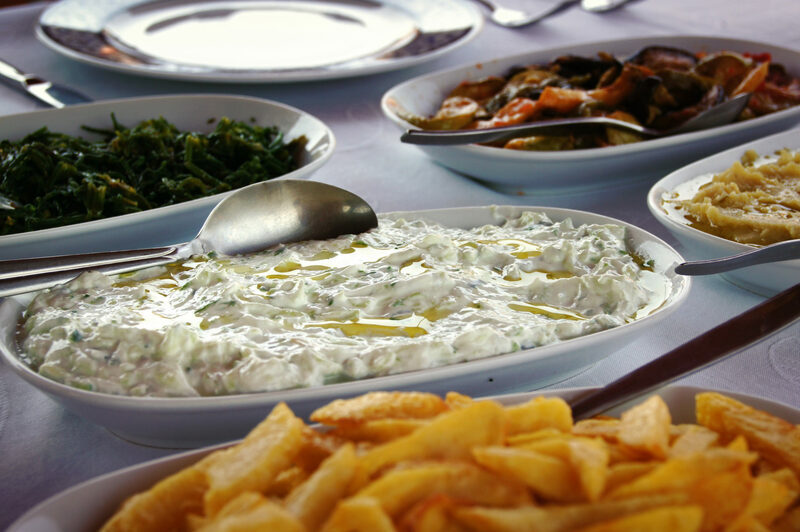 Turkish food is not only highly diverse, but also easy to digest for Middle Europeans and only rarely very spicy. 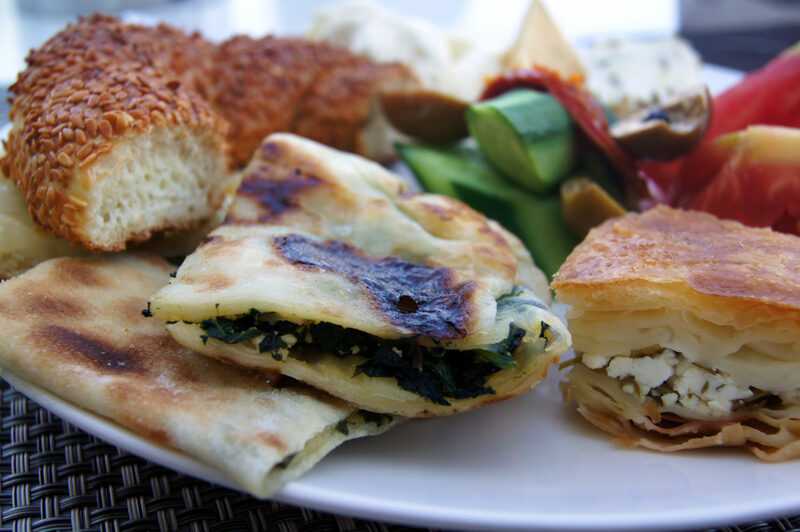 From lamb to yoghurt, to various breads, the origin of many Turkish dishes is the nomadic period of the early Turkic people. These traditions were later mixed with Indian, Persian and Arabic cuisine. Dietary rules from Islam – haram (forbidden) and halal (allowed) are followed today. Cold vegetable soup in all kinds of varieties are very popular in the summer in Turkey. There also meticulously-prepared mezeler (starters): dorma or sarma, stuffed vine or cabbage leaves; firinda mantar, mushrooms stuffed with cheese. Staples are vegetables in olive oil, feta, calamari and hummus. Rakı, the Turkish national drink, is an aniseed burnt from grapes or raisins, with anis seeds for flavour. Kebap is probably the best-known Turkish food, not to be confused with the German Döner Kebap. It encompasses all meat dishes from lamb and mutton to beef, mostly grilled or served on a skewer (şiş). Pork, forbidden for Muslims, is hard to come by. Recommended is the şiş kebab, consisting of marinated lamb meat like köfte, and well-spiced mince balls, served with rice, potatoes or bulgur. Fish and seafood dishes reign on the coast, from bass to turbot to tuna. Then there is the most famous snack in Turkey, balik ekmek – a mackerel sandwich native to Istanbul. Turks love white bread fresh out of the oven. Pide is a soft flatbread, often accompanying side dishes. Turkey is paradise for those with a sweet tooth. Baklava is a baked sweet soaked in syrup and filled with nuts. Sütlac, a rice pudding, is also recommended, followed by Turkish mocha, türk kahvesi, which can be drunk without sugar (sade), with a little bit of sugar (orta) or with a lot (şekerli). As well as rakı, the yoghurt drink ayran is also popular. 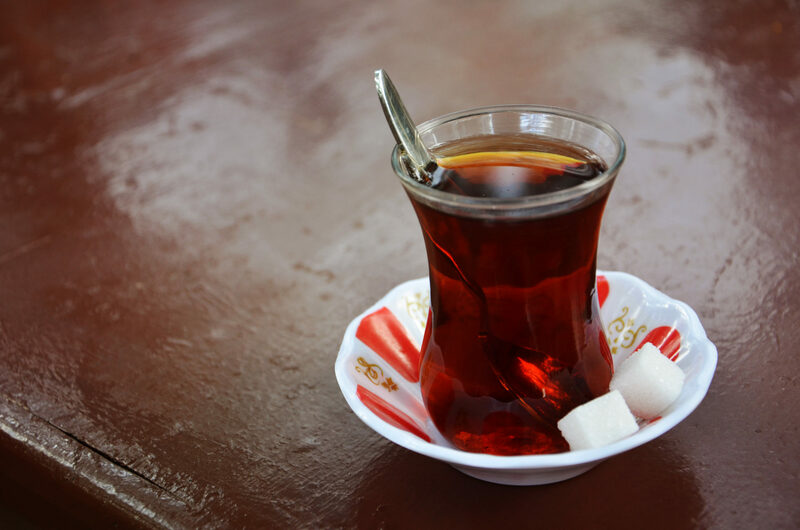 Apple tea served in glasses and strong, black Turkish coffee is available everywhere. Tap water is chlorinated in cities, but it is still advisable not to drink it. Try to get mineral water in bottles. As in other Muslim countries, try to avoid eating, drinking and smoking in public during the fasting month of Ramadan, especially before sunset. It is tolerated in Turkey, but it will also not win favours with locals. Istanbul, the metropolis on the Bosphorus, is one of the most beautiful cities in the world, not just because of its idyllic location on the golden horn. Its special flair draws in its visitors from their first wander down its winding alleys, whether along the lively İstiklal Caddesi with its quaint tram, the Galata Bridge with its fishers or in the endless hustle and noise of the Great Bazaar or the Egyptian Bazaar – or, at the very least, when the voice of the muezzin calls to prayer somewhere between the Blue Mosque and the Haghia Sofia. 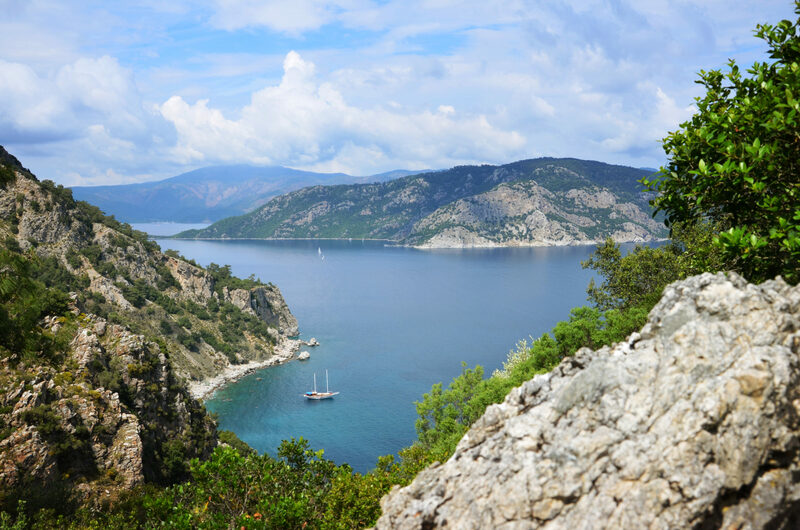 The south coast of Turkey encompasses the provinces of Muğla and Antalya, with important centres of Antalya and Alanya in the southeast, as well as the western cities of Kemer and Kaş. The region is popular among tourists for its combination of favourable climate, warm sea and more than 1000km of coastline. With traces of Roman, Seljuk and Ottoman periods, the area also has many natural and archaeological attractions, such as the ruins of the mausoleum at Halikamassos. Between its pine forests and olive groves, the rugged Aegean coast is ideal for beach dwellers with its bright blue sea and opportunities for sport and leisure. As well as the pulsing holiday destinations of Bodrum, Çeşme, Izmir and Marmaris, there are also dreamy, idyllic coves. The former Asia Minor also has a lot of history and culture to offer, from the the rock tombs at Kaunos to the ruins of Ephesus to the legendary Troy. The most popular day trip for most visitors to this part of Turkey are the white terraces of Pamukkale, formed by millennia of calcium-rich thermal sources piling up and taken care of by UNESCO since the 1980s. This lava rock cave landscape can be found in Central Anatolia in the heart of Turkey. Volcanic eruptions and waterfalls created the formations over millions of years, where people have built residences and churches since the 4th century. Göreme National Park, with its subterranean towns, is also protected by UNESCO. A popular pastime for visitors is a hot air balloon ride at sunrise. Traditionally relatively untouched by foreigners, this region has avoided the effects of mass tourists. 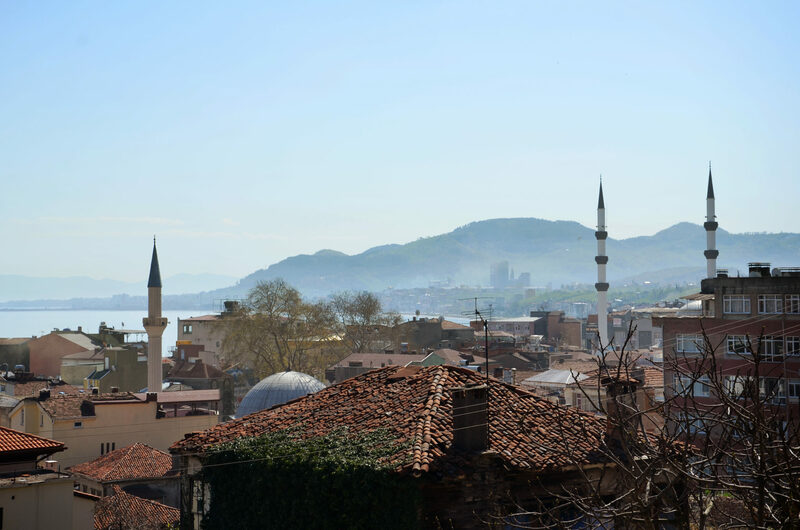 The undiscovered pearls of Turkey around the harbour towns of Ordu, Giresun, Samsun and Ünye await those who make the trek here. 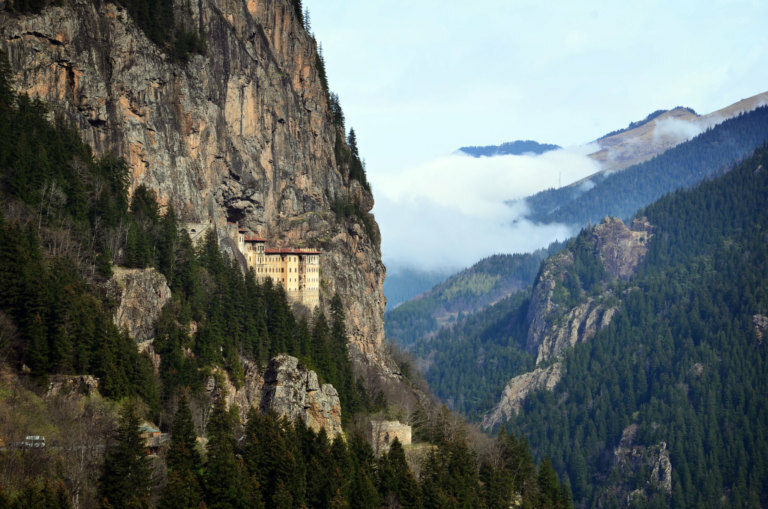 As well as beautiful nature, such as the 4000-metre-high Kaçkar mountains, the region also offers architectural and cultural highlights like the Sumela Mountain Monastery. You are also sure to get a warm welcome from football crazy locals in Trabzon. As a destination, Turkey is almost unrivalled in its affordability, especially for the packages in the western and southern coasts. There are still large price differences for accommodation depending on high or low season, though. Food is cheaper in Turkey than in Germany. A meal in a cheap restaurant is around €4, with a local beer (Efes) costing €2. A 20km journey on a dolmuş only costs €2-3. Internet in Turkey is easily accessible and cheap, but connections are not always reliable. There are more and more reports of the government deleting, blocking or censoring certain sites as a means of law enforcement. Wi-Fi is available for free in most hotels and airports. There are also internet cafés, popular in the large cities. 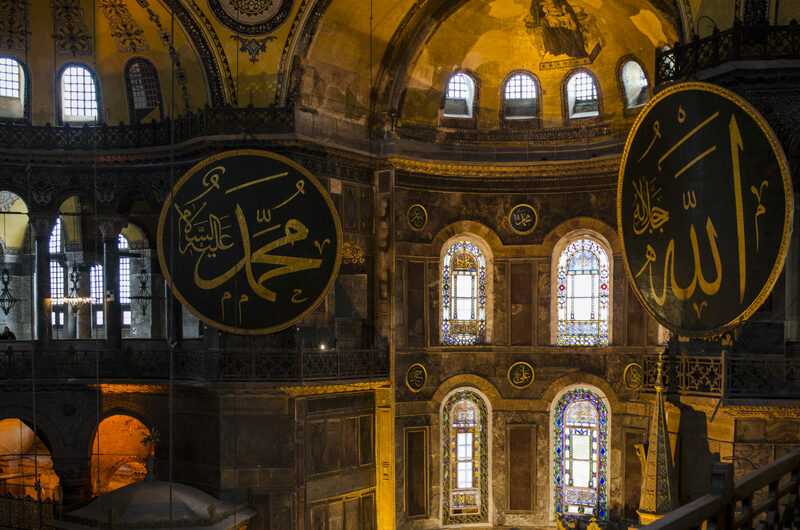 The comprehensive Lonely Planet Turkey guide can help with tips and tricks, including guides for specific regions like the coasts and Istanbul. Those who want to get a feel for Turkey before their trip can read the works of Nobel Prize in Literature winner Orhan Pamuk, such as The Black Book or his love letter to his hometown, Istanbul: Memories and the City. This is awesome! So helpful! Thanks! Hey Kelsey, thanks a lot and happy travels! Merhaba! Hello Anne, hello Clemens! Great and detailed article with beautiful pictures! 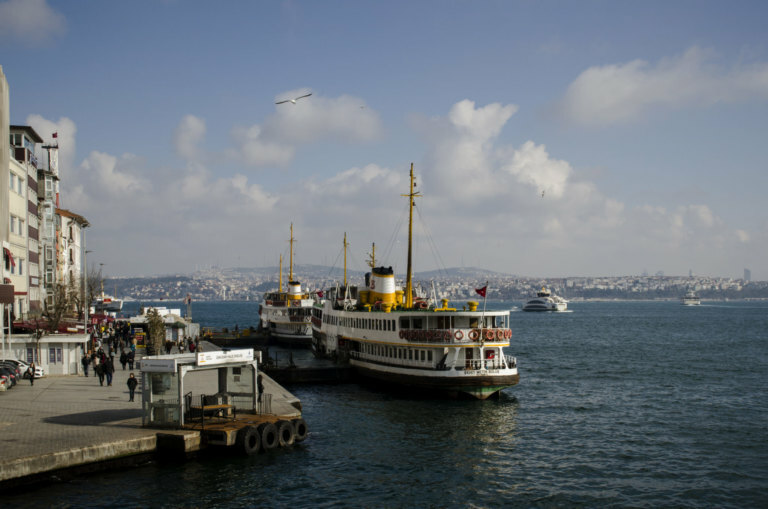 I have listed five sights in Istanbul on my german travel blog. I am happy about every visit. Hey Peter! Awesome, thanks for letting us know and happy travels!